The Chinese tech blog that just confirmed the Google Nexus 10 tablet rumor is on a roll today. 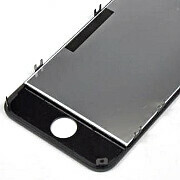 It leaked a picture of the eventual iPhone 5 front panel, and reiterated that its supply chain sources have confirmed Apple will use in-cell touch layer technology for it. It integrates the touch sensors directly into the LCD package, thinning it in the process, and allowing for a slimmer device. 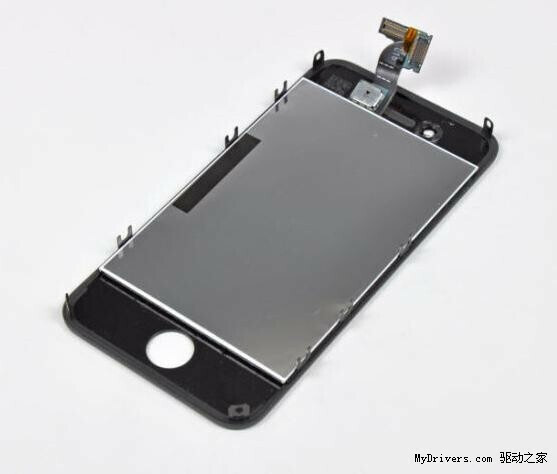 Given that those sources confirm once again what we've heard numerous times - that the iPhone 5 screen will be with 30% larger area than the 3.5-incher we have now, a thinner display part would still allow for a very compact device. Other rumored specs are a metal back, 32nm dual-core processor, Qualcomm LTE world radio and NFC, while we haven't heard anything new about the camera yet. As for the operating system, it is expected to come with the retail version of iOS 6, of course, with its souped-up Siri voice assistant. What the f**k are you talking about the HTC One X, Samsung Galaxy S3, Samsung Galaxy Nexus, Samsung Galaxy S2, Samsung Galaxy Note, HTC One S, Droid Razr Maxx, there all better than the iPhone!! You must be stupid if you think that the One X and One S or the S2 or Razr Maxx can hold a flame to iPhone 4S. And with the same old iOS look... meh its so 2010 now.. The design of the iPhone is almost 2 years old now. Nothing has changed aesthetically since the iPhone 4 was released. With what has leaked about the iPhone 5, it is going to be another take on stale technology. *Yawn* Is that it? I was expecting an SD Card+Quad Core Processor. My mom is hyping with this device... so I decide to make this as a christmas gift to mom... RIGHT AFTER APPLE AND COURT UNBANNED ALL COMPETITORS PHONE!!! Ever since the 4s was announced, there has been a huge divide in the tech world, people who know what a smarphone can do, (android) and people who want to appear techy and up to date (iphone) a child can own an iphone, what does that say? ios 6 was underwelaming and so will iphone 5, but as we all know, apple will hype the hell out of their device, calling it revolutuinary again and again and again, we get it, but we know better, aka android, im just waiting for asus padfone to arrive in australia, and when october comes around and people are drooling over iphone 5 and have no idea why they need one, ill be watching from the sidelines with my real smartphone, android. i am doing research on whether i will go with android, apple, or windows phone, so i am honestly curious to know what can android do that ios with apps can't? Virtually anything that requires flash support since iPhones don't have it- try watching a music video on the actual YouTube site. You can't do it with an iPhone, you have to download an app which will render the video in a different format for you. Swype. More music support- apple only supports mp3, mp4, wav, aiff, and alac. With a DROID you can play all of those and more with the right setup. Music is also easier to store and share- you don't have to use iTunes or worry about losing your data through syncing to transfer media files between computers. It's a simple drag and.drop. Not to mention widgets- the home screens are infinitely more customisable and interesting than a grid of square tiles. but what about everything that is happening with flash on android now? will there be away around that? While there was no HTML5 Android was with Flash while iOS never had Flash. Now there is HTML5 and Android is losing Flash. iOS didn't had Flash when it was really in need while Android was with Flash! I own neithier an android or iphone. but the falsh argument is played out. once jelly bean hits you wont have access to flash eithier. Not to mention that due to popularity of the iphone every falsh site makes an iphone compatibale version. so that limitation is not a big deal. Ipods are iopds for a reason so the music thig is kinda weird to me ? As a grid of square titles ? they do both icons and widgets jobs, are way more asthticly pleasing and cleaner. oh the biggest one they dont lag freeze crash or force close. theres a reason why people always wanna change android ,...... its ugly and clunky very poorly designed. Not every. I often send links to videos to my coworker, and he can't watch them on his iPhone4. Other than widgets there's really nothing it can't do that android does. Some of the things u mentioned requires rooting. You people are unbelievable, we pick Android because it can do 10 times what we can do with Apple. With an iPhone you can't do s**t to customize it. You Apple fan boys are retarded the only reason you like it is cause all of your friends have it. You think it's a luxury item, Your paying for the name!! For whoever said it force closes all the time well your wrong Google "Do iOS apps crash more than Android apps?" Then you'll see how stupid you look, Android is better!! Thumbs up if you agree, I swear it's like talking to children these days learn your damn facts, I did!! You guys act like android can do all these great things over the iPhone but in realitly the only things it can do is pointless or not even necessary. I think the smarter people are the ones that realize having your home screen background move is a stupid idea.lol. You can watch you tube videos from safari web browser or any other browser itself. Also sync does not leeds to loss of data instead it backs it up everytime, yes it has a limitation that you can sync with only 1 PC.